With 25 years of experience, NETT is one of the most prestigious school centred initial teacher training establishments in the country. We offer Secondary and Primary Teacher Training in Colchester and the surrounding area. 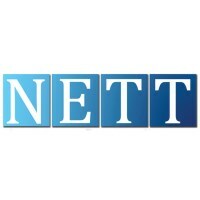 NETT is a centre for core SCITT, School Direct Salaried and School Direct Training programmes. These training programmes are offered across all subject areas dependant on local demand and lead to the award of Qualified Teacher Status (QTS). For non-salaried trainees, the PGCE qualification is also awarded. Salaried trainees can also access the PGCE if desired. If you are interested in training with us on any of these programmes, please go to the relevant links for further information. We are accredited by the University of Suffolk. From September 2017 we are able to offer a level 7 PGCE course which includes 60 Masters credits.